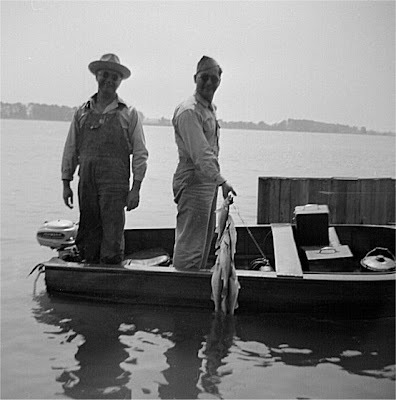 Carol requested "Old fishing pictures - fishermen in old boats." They may not have caught the "big one" but they certainly caught a lot of them! Hope you enjoy your "catch" of fishing pictures! I began my interest in vernacular photography by a chance acquisition of over 10,000 negatives dating from the late 1920's through the early 1970's. Luckily, I knew what I had was something more than "someone's old pictures." 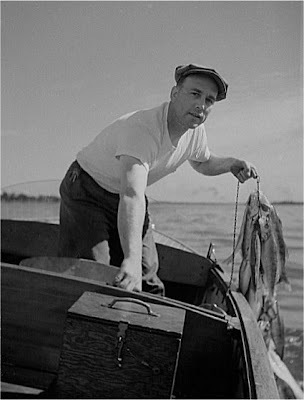 This cache of old images became the impetus for me to create two Photoblogs: Ookpik’s Negativity and Mystery Ships Of The Great Lakes. Ookpik’s Negativity contains photos that I would like to know more about while Mystery Ships Of The Great Lakes features photos of ships that I am trying to identify.